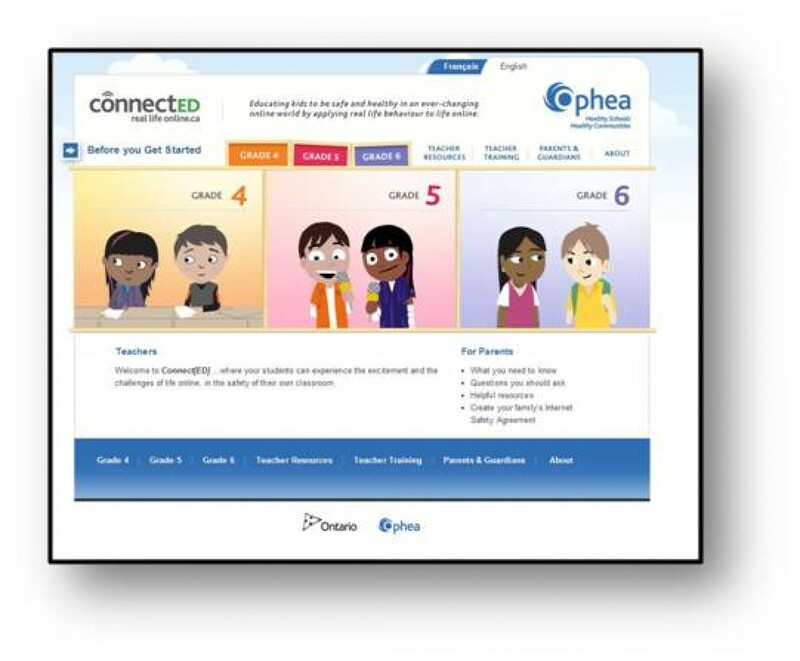 Developped with funding by the Ontario Ministry of Education, Connect[ED] is a billingual resource that addresses Internet safety for students in Grades 4-6. It is designed to help students develop safe and healthy online behaviours, such as netiquette, security, personal privacy and relationships (e.g., recognizing and managing cyberbullying), in the same way they would in real life situations. It helps children apply real life behaviour to life online.